I decided to take advantage of the sun and milder weather today and start spring cleaning the vegetable plot. This was another job I had been putting off, but I split it down into mini tasks, making sure I did one thing at a time. My first job was to sort out the greenhouse. I had meant to take it down in the autumn. It stood up to most of the winter weather until the last lot of snow. A huge slab of snow fell off the garage roof and squashed it. I didn’t think I would be able to save anything – the poles were buckled. I crawled inside and managed to bend a few poles back and tape them up with duck tape. Next I cleared two of the raised beds and refilled them with compost from last year’s pots and growbags. All this just took a couple of hours, and I’m really pleased I’ve managed to save the greenhouse. It will last me this year, although I think I will probably have to invest in a new one next year. 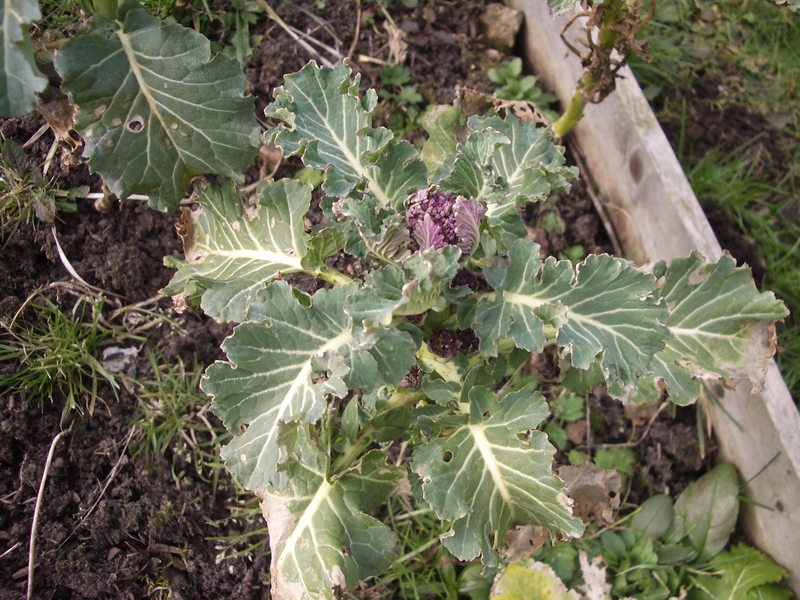 I found some purple sprouting brocoli in one of the beds – there’s probably about enough for a mouthful, but I’ve learned a lot from my attempts at growing this year. This evening I’m going to plan what I’m going to grow. Have you been out on your vegetable plot yet? What are you planning to grow this year? I have spent most of the afternoon at the allotment – it was lovely and I was very pleased to see that it wasn’t in as bad a shape as I expected. I tied in all my raspberry canes, pulled out the last of the brassica’s (nothing edible on them at all – although I did manage to salvage a few leeks)and dug a small amount of the plot over. I decided to do it in small chunks to make it feel more manageable. I have to sit and decide what we are going to grow this year – but one thing I do know is that we will be planting mainly plug plants. I know that seeds are so much cheaper but our polytunnel suffered in the snow and we just don’t have the time yet to sort it out. So, rather than stress about getting seeds in in time, I am just going to go with plug plants to start off with. Then by mid to late Spring the polytunnel will be ready for the bean seeds, etc to go in.